Yes, we know it's still very early, but some of our fans are already asking us, "When do Black Friday ads come out?" First of all, there are, like, a whole TWO yellow leaves on the trees and our windows are still open. Second, we'll grudgingly admit we're right there with you and, well, we do have a few ideas about when you can expect to see the Black Friday ads from your favorite stores come out. Before we get into our predictions, there are a important things to address. This year, Black Friday will be on Friday, November 23, 2018. All dates we give are estimates unless otherwise noted. We've got a lot of data about when we've seen Black Friday ads leak in the past, and we've got enough experience covering Black Friday news that we're pretty good at giving that data a gut check. However, no two Black Fridays are alike, and there's always something that comes out of left field to surprise us. In other words, if we're wrong, please be gentle! 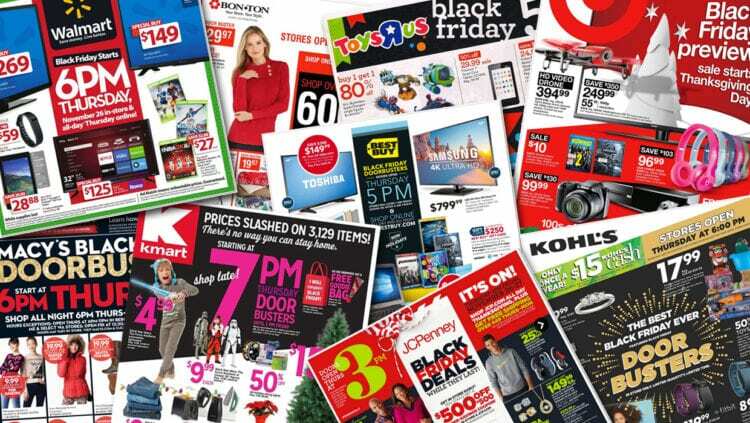 True Black Friday ad leaks are increasingly rare. The ugly, unvarnished truth about ad leaks is that they are nearly always theft. Someone swipes a copy off the printer for some cash under the table, a disgruntled employee ships an unfinished copy off to a friend who puts it on a website somewhere. The trouble with these leaks for Black Friday shoppers is that they're sometimes unfinished copies and thus can't always be trusted to be accurate. Since the rise of Black Friday websites, most retailers have tightened up the security of their ad creation process, and leaks are happening a lot less often than they used to. 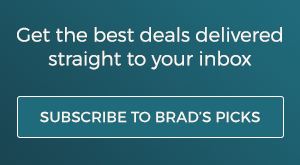 I'll take this opportunity to note that Brad's Deals takes copyright seriously – we never pay for leaked Black Friday ads, and although we may occasionally publish a leak, we only do so for retailers who allow it. Phew! Okay! That was a lot of notes. On to our predictions! Let's go! For the last few years, the Best Buy Black Friday ad has not leaked ahead of its intended publication date. Look for it to arrive online early in the morning around November 8th, with paper copies showing up in newspapers that weekend. Home Depot famously sends out preemptive "cease and desist" letters that threaten sites like ours with legal action should we publish their ad before its official publication. For us, that means that even if someone sends a leaked copy to us we won't be putting it up on the site until then. (Darn those pesky lawyers...) The Home Depot Black Friday ad is always published on Thanksgiving Day, the day before their Black Friday sale, so in this case our ETA is pretty much set in stone. Last year Kohl's Black Friday ad arrived on November 1st, and in 2016 on November 3rd. The new earlier release date seems to suit them, and with Black Friday happening about as early as it can be for 2018, we're comfortable thinking we'll see a similar release date this year. In all of the years that we've been watching Black Friday, there has rarely been a year when the Macy's Black Friday ad wasn't leaked. In fact, it's usually the first ad to arrive from a major store. If they have fixed their leaking problem we most likely won't see the ad until the 7th, otherwise leaks usually happen right around November 1st. The Sam's Club Black Friday ad normally does not leak early. In the past it's been released in the first few days of November, so we expect to see the same this year. Sears is another retailer that tends to leak like a sieve. Hardly a year goes by when we don't receive an anonymous copy of the Sears Black Friday ad from a throwaway email account. A few years ago, Sears managed to keep it under control, and we were able to work with their team to leak it exclusively to our readers one day early. That said, Sears doesn't have the same aura of process security that other retailers have achieved, and we think the potential for an uncontrolled leak is probably still pretty high. Based on our own publication dates for the last several years, we expect to get the Staples Black Friday ad on or around November 8th. Last year JCPenney's Black Friday ad was released on November 1st, and with this year's early Black Friday we expect that to be the case again for 2018. Even though Sears and Kmart are effectively the same company, they're separate enough that we've rarely seen leaked ads from Kmart despite getting them almost every year for Sears. Kmart Black Friday ads tend to show up around the same time every year, roughly two weeks before Thanksgiving. Although it has leaked in years past, for the last few Target has managed to keep it under wraps until they dropped it themselves. It seems as though they've gotten their process locked down, so a leak in 2018 would be unexpected to say the least. 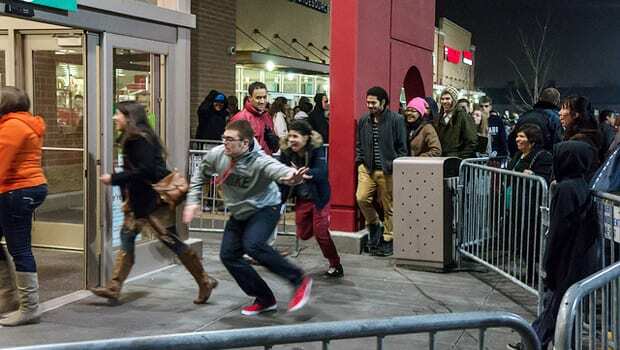 Look for the Target Black Friday ad to arrive around two weeks before Thanksgiving. The Walmart Black Friday ad has been so easy to predict for the last few years that we mark it on our calendars as "Walmart Wednesday." If that were to change this year, it would be a shocking departure from precedent. In the past, I would have said you were crazy if you thought the Walmart Black Friday ad might be leaked. Like Home Depot, their lawyers have always sent preemptive don't-even-think-about-it letters and let's face it, no one wants to fight Walmart. But in 2015, Walmart's Black Friday marketing was uncharacteristically disorganized, the letter never came, and without a legal threat in place the ad did leak – albeit just one hour before it was published officially. They were considerably more buttoned up in 2016 and 2017, however, as Walmart returned to form. We're betting we get the preemptive "cease and desist" again in 2018, but if a leak DOES happen, it'll be very close to the official release anyway. Which Black Friday ad are you most looking forward to? Let us know in the comments!